As far as gluten-free baking has come in recent years, gluten-free donuts are still a rare treat. After searching far and wide, though, we’ve finally found a donut worth traveling for. When you want the best gluten-free donuts in Chicago — or in the U.S. for that matter — look no further than Do-Rite Donuts. This Chicago shop has perfected the doughy treat, with a gluten-free donut that boasts a lightly fried exterior and a nicely cakey interior. Though Do-Rite isn’t a gluten-free facility, it takes all necessary precautions to keep gluten-free donut preparation and frying separate. Do-Rite gluten-free donuts are even displayed in their own case, tempting donut fans with their chocolate, maple, and cinnamon goodness. On a typical day at Do-Rite, you’ll have your pick of three gluten-free flavors. 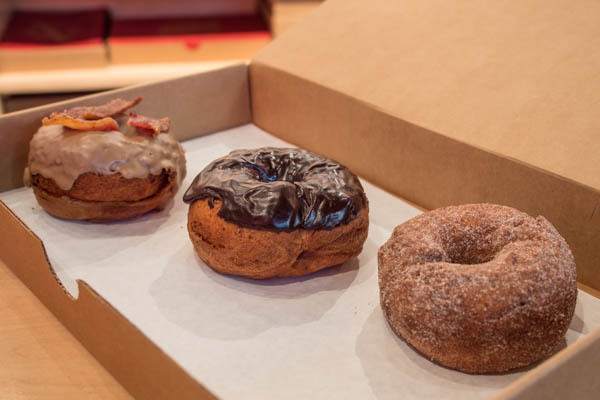 The chocolate donut is topped with a generous coat of chocolate icing, the cinnamon sugar donut is dusted with a perfectly sweet and spicy blend, and the maple bacon donut is simply amazing thanks to a dip of rich maple glaze and a bite of salty-sweet bacon. There’s no need to feel left out of Do-Rite’s delicious weekly specials, either. Though they’re often gluten-full by default, the shop’s expert donut bakers can usually whip up a gluten-free version when given advance notice. 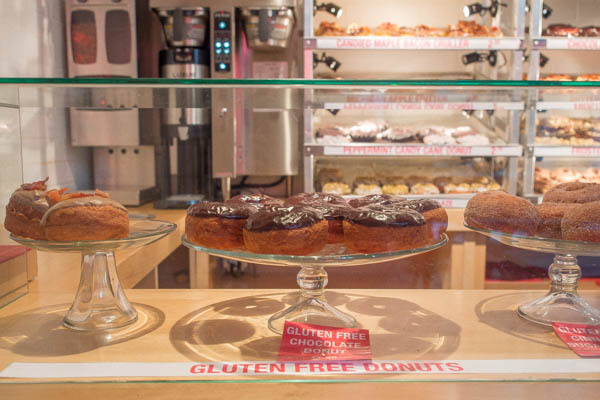 Do-Rite gluten-free donuts are a special treat, but we definitely won’t hold it against you if you try one of each! Where? Get Do-Rite Donuts at two locations in Chicago. 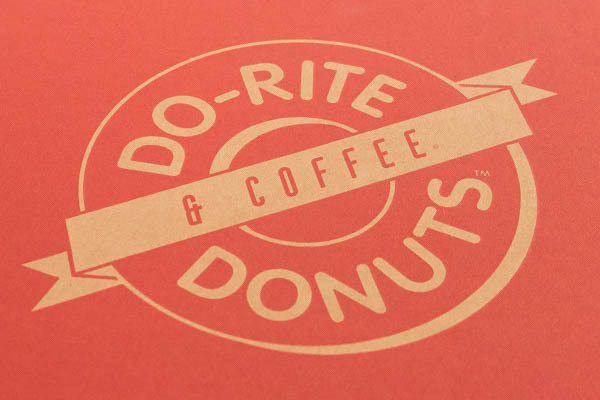 Do-Rite Donuts & Coffee is at 50 West Randolph Street, Chicago, IL 60601 (312-488-2483), and Do-Rite Donute & Chicken is at 233 East Erie Street, Chicago, IL 60611 (312-344-1374). Disclaimer: Do-Rite Donuts graciously hosted us so that we could share our experience with gluten-free readers around the world. As always, all opinions and enthusiasm are our own.